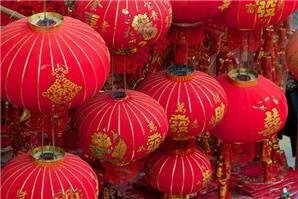 The most common Chinese lanterns are red, oval shaped, and decorated with red or golden tassels. Typically, they come in many different shapes including square, rectangle, and spherical. Historians believe that the Chinese first began making the now traditional lanterns during the Eastern Han Dynasty (25–220). The original use of lanterns was primarily as a light source. They were used both indoors and out to provide a shaded light for reading and working. The protection from wind provided by the decorative silk or paper shade kept the lanterns from going out with the breeze. In ancient China, they were used to provide light and eventually as aspects of Buddhist worship. Today, they are used only for decoration and modern forms of celebration and worship. 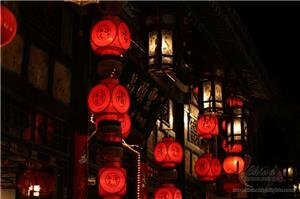 Lanterns have become a symbol of national pride in China and are used to decorate homes and public places. 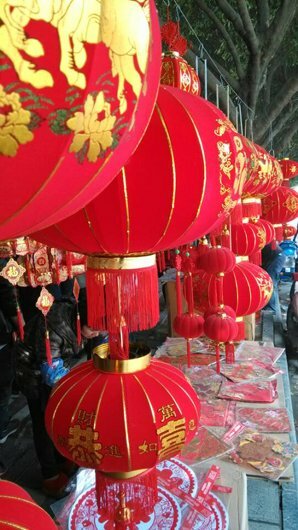 There are three main types of lanterns that are used throughout China. The most common type of lantern is the hanging variety. These decorative lanterns are hung in both homes and public spaces. In cities and in rural areas, you can see lanterns adorning street lights, public buildings, and shops. Many homes will also sport a few decorative lanterns in their windows, especially during festival seasons. Lanterns hung at Chinese New Year are thought to scare aware the Nian monster and bring good luck. On special occasions, such as the Mid-Autumn Festival, you can see a unique type of floating lantern being released into the night skies over China. These airborne lanterns are propelled by rising hot air generated by the flame within. They are beautiful to watch and are often released in large groups for a more eye-catching effect. Lantern celebrations, such as the Dragon Boat Festival, that take place near rivers, ponds, and lakes will often feature floating lanterns. This variety comes in many different shapes, such as the lotus design featured here. They are lit and put adrift in large groups to create a beautiful spectacle on the water. Originally, lanterns are used to protect the flame from windy weather. First Chinese lanterns were invented in the Eastern Han Dynasty (25–220 AD) and used as lamps and for the worship of the Buddha. Lanterns became widely known by common people, especially during the time of festivals. In the Tang Dynasty (618–907 AD) lanterns were made in order to celebrate people&apos;s peaceful life and present China as a powerful country. The materials for making a lantern are very simplistic. Historically, bamboo, wood, rattan, or wire was used for the frame. The shade was crafted from delicate paper or silk. Lanterns were often decorated with Chinese calligraphy, painting, paper cutting, and even embroidery. While the earliest Chinese lanterns were created for practical use in the house and as entrance-way lighting, they eventually became highly ornamental, and a status symbol. This is evident from how the red lanterns are extensively used in the Qiao Family&apos;s Compound, built in the Qing Dynasty, as well as at the gates to the Siheyuan housing compounds, typical of Beijing, but also seen elsewhere in China. Although there is no longer a practical need for Chinese lanterns, they are still made, used, and enjoyed by the Chinese people during festivals. The streets both in big cities and small towns are decorated with red lanterns during the Chinese New Year, Mid-Autumn Festival, and the Lantern Festival. The Lantern Festival is one of the best days to view Chinese lanterns in action. It is always held on the 15th day of the first Chinese lunar month. The festival is viewed as the end to the Chinese New Year celebrations and is celebrated with the release of floating and flying lanterns as well as la. If you want to view Chinese lanterns for yourself, there are a few key places to visit. Beijing, Hong Kong, and Nanjing are all popular cities that feature excellent lantern displays during national celebrations. In Beijing, temple fairs are held in various venues, and lanterns can be seen everywhere during the worship and celebrations. Guessing the meaning of lantern riddles is a unique folk custom during the famous Chinese Lantern Festival. 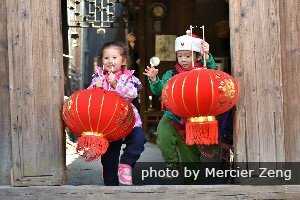 In ancient China, every family hung colorful lanterns at the gate. Some wrote riddles on pieces of paper and attached them on the lanterns. The answer had to be guessed from a word, a poem, or a phrase. In ancient China, Lantern Festivals participants competed each year to produce the most impressive lantern. Today, the best lantern designs in China – except for those reserved for the Imperial Palace – are now public property and freely copied by many Chinese families. Dying to see Chinese lanterns up close? 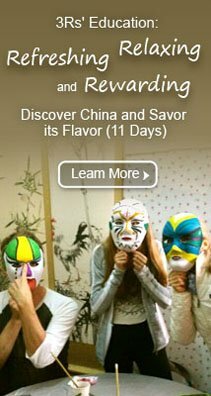 Let China Highlights plan your tour of China&apos;s greatest sights and come see the wonder for yourself with our festival tours. We offer structured tours through the highlights of Chinese culture and history. 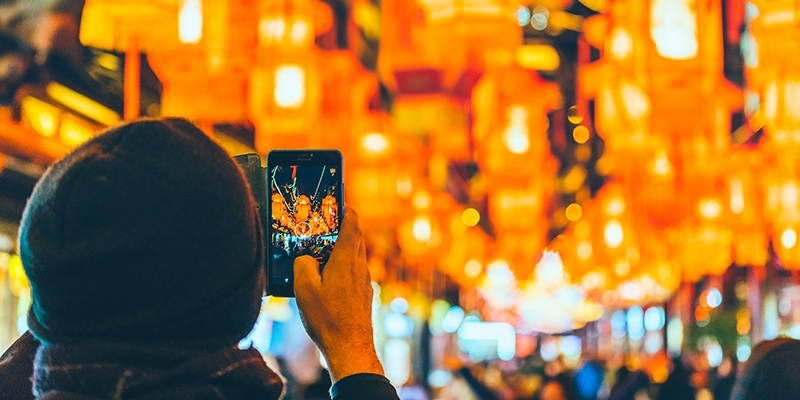 Plan your own custom tour during the festival of your choice for beautiful photo-ops and breathtaking views of Chinese lanterns.